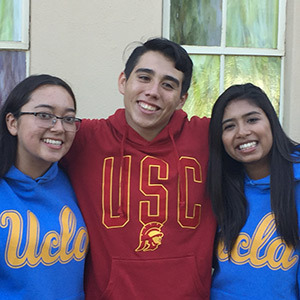 PiCS was founded to improve college access, degree completion rates, and early career success for low-income, first-generation students from San Diego County. In fact, we are currently doing that for amazing students right here in San Diego. In fact, we are doing that for amazing students right here in San Diego. High potential first-generation college students are already part of our communities. The challenges they’ve faced have taught these kids to be courageous, resilient and that they must work hard to earn a safe, stable future for their families. 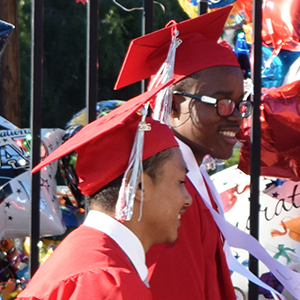 PiCS is committed to help ensure their admission to college, support them to degree completion and equip them with the skills and experience to excel in careers that contribute to San Diego’s prosperity. When these students succeed, it benefits all of us. By 2020, 65 percent of all jobs in the economy will require post-secondary education and training beyond high school. Fewer than 1 in 10 low-income students finish their degree within 6 years. Graduation rates for higher-income students have risen by 37%, but rates for low-income students have remained largely unchanged since 1970. While low-income and first-generation students are attending colleges and universities in record numbers, little is being done to ensure that these students graduate on time and ready for a career. College graduates earn 62% more than those with high school diplomas, and offer skills needed by 21st century employers. An educated workforce strengthens our economy, and higher-earning citizens contribute more to the state in taxes. Despite the large number of low-income and first-generation college students here in San Diego, there are currently no organizations in our area focused on ensuring that current students graduate from college. In fact, there are only a handful of organizations supporting college completion nationwide. High potential first generation college students are already part of our communities. The challenges they’ve faced have taught these kids to be courageous, resilient and that they must work hard to earn a safe, stable future for their families. 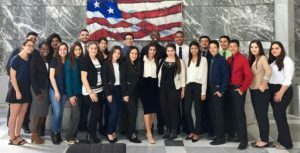 PiCS is commited to help ensure their admission to college, support them to degree completion and equip them with the skills and experience to excel in careers that contribute to San Diego’s prosperity. 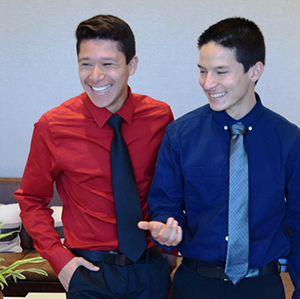 When these students succeed, it benefits all of us.